Do you know how to cook turkey in an oven bag? There are a couple reasons why this is a great idea. 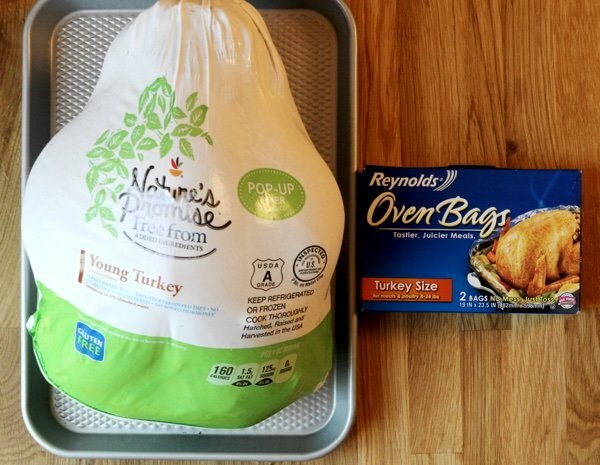 This oven bag method is almost foolproof because the bag seals in moisture so your turkey has a far less chance of drying out. I have never failed using this bag. The turkey also cooks much faster so you don't have to get up at the break of dawn to get it in the oven. If you don’t want to cook a whole turkey try cooking turkey breast in an oven bag. This is great for having turkey for lunches and I freeze some for other meals. These oven bags are made of plastic (food grade nylon to be more specific). The FDA has tested and approved their use so they are supposed to be safe. These bags are BPA free if that will make you feel any better about using them. 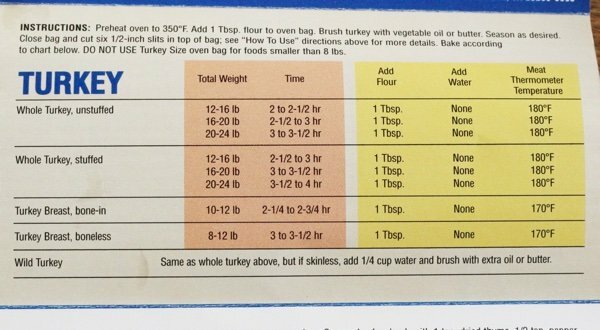 Using the bag is super easy – you put one tablespoon of flour into the bag (shake it) – add the turkey – close it with a plastic tie – and cut a few holes in it. In the video, which shows you all the steps, I massage the bird with a little butter and some salt, pepper, and fresh thyme. You don’t have to do this if you don’t have time. Reynolds puts a pamphlet in the box so you don’t have to guess how long to cook it. I use a meat thermometer to ensure my bird is done and you can just push it through the bag to test it. I found that this method cooked my turkey breast an entire hour faster than without the bag. The meat was moist and cooked perfectly. I cooked it until it was 180 F.
If you end up with too much turkey, don’t worry! I make a leftover turkey chili which everyone will love. Do you know how to cook turkey in an oven bag? Do you like this method? I remember people greasing a brown grocery bag and cooking their turkeys in that for a nice moist turkey. I have never tried that or tried the these plastic bags. I add some cut up carrots, celery and onions in the bag, around the turkey. 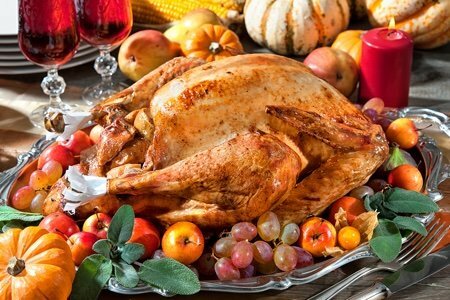 When the turkey is done, take it out of the bag and then put the vegetables along with the juice that cooks out of the turkey, in the food processor. This makes a nice thick gravy. If you put a lot of veggies in the bag, it may extend the time it takes to cook the turkey. I cook our turkey this way every year. I put it in upside down and the breast meat is so nice and moist - it's the first choice of everyone. Snack Girl, I trust you implicitly. You don't worry about eating from plastic subjected to high heat? If you tell me it is ok, I will believe it. @Jennifer - thank you for the trust. The plastic is "locked" and therefore will not leak out anything that may be toxic. I believe this is very safe.